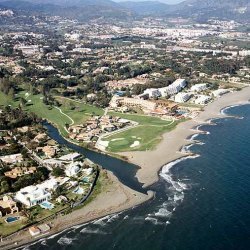 Please, send me more information about ref DM4409 in Guadalmina Baja, San Pedro de Alcantara or similar properties. Villa in Guadalmina Baja at approximately 950m from the beach and 650m from the Guadalmina commercial centre with broad range of services such as restaurants, banks, bars, pharmacies and shops. 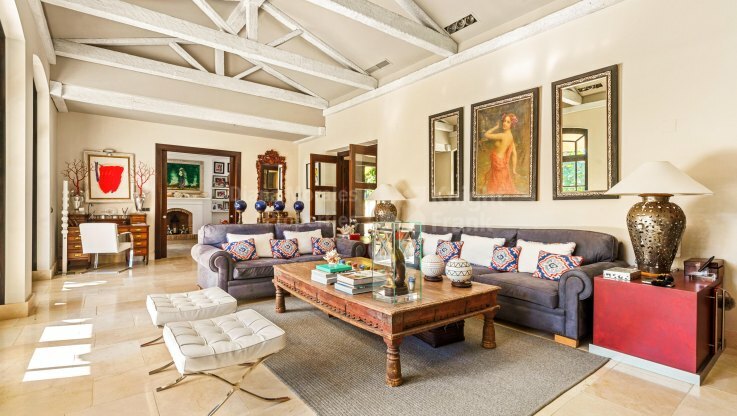 Decorated with taste this family house features on the ground floor an entrance hall with marble staircase, lounge with a fireplace, large open plan kitchen with sitting area and big dining table. The lounge and the kitchen lead out to the covered terrace with garden and pool views. 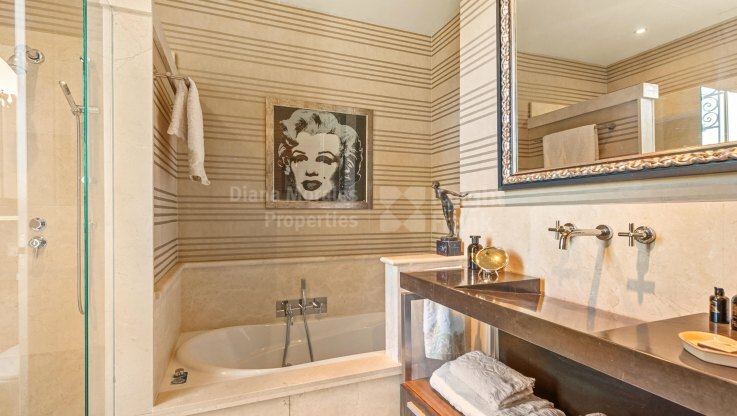 The ground floor also comprises 2 bedrooms, one with private bathroom with jacuzzi. On the upper floor there are two more bedrooms. One of them is a master bedroom with private balcony and 2 dressing rooms and 2 bathrooms for her and for him. The basement which also has access from the outside consists of a laundry, storage, lounge with a small kitchenette and a shower room. The exteriors offer large swimming pool, mature well kept garden with grown-up trees and lovely sitting areas covered with thatched roof ideal for al fresco dining.